Blacksmith made Chestnut roasters. Made to be decorative and practical with a base to hold many chestnuts. The total length of the pictured chestnut roaster is 610mm and we would recommend a longer chestnut roaster so you are not t risk of burning your hands. Category: Fire Tools and Fireside Accessories. Tag: Tools. 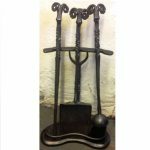 Blacksmith made Chestnut roasters, made to be both decorative and practical with a base to hold many chestnuts. 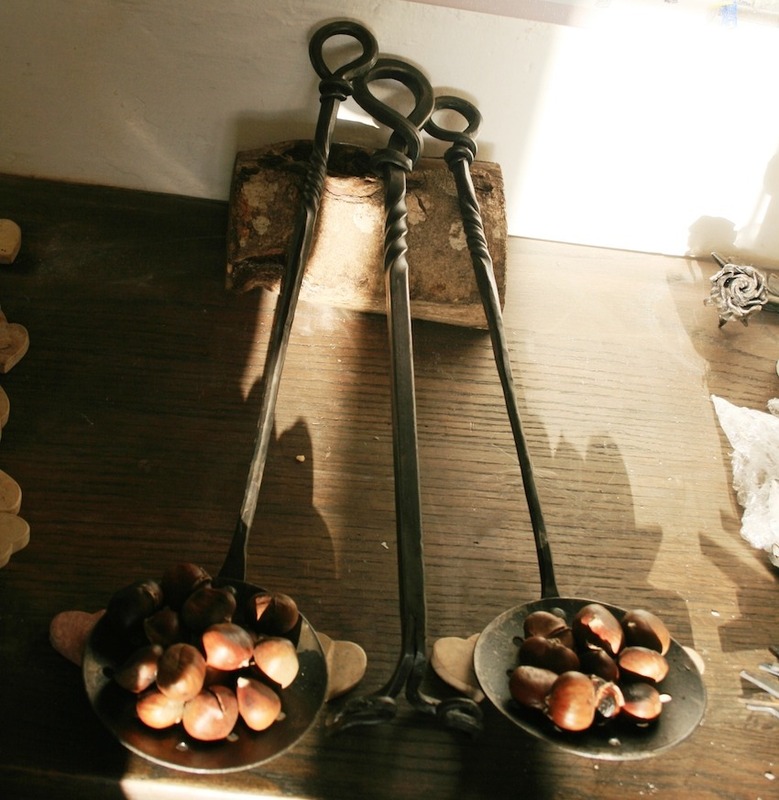 A chestnut roaster is a fireside tool which many people don’t have, yet what could be nicer than roasting chestnut on a fire. This makes the item a great present to yourself or a friend. The total length of the pictured chestnut roaster is 610mm and we would recommend a longer chestnut roaster so you are not at risk of burning your hands. We keep chestnut roasters in stock, but occasionally during busy times, we may need to make them to order, therefore please allow a maximum of five days for the item to be prepared and ready to be sent.